With only a few days left until the launch of the new Sony console in several major countries, the company issued a formal PS4 unboxing. Unboxing apparently have never been more popular this year, since companies like Microsoft and Sony are rushing to make their own unboxing videos in products intended to come to market soon. In this case, it is about an official unboxing of the spectacular PS4 designed to draw attention to the contents of the package which you will find in the stores with the new console. The presentation is made ​​by Shuhei Yoshida – President of Sony Worldwide Studios. If we were to define a style for a few minutes of this clip, it would be similar to methods used by Daft Punk in recent clips of the band. Altogether, this is a spectacular video and completely different from what we saw in unboxing made ​​by Microsoft at Xbox One. 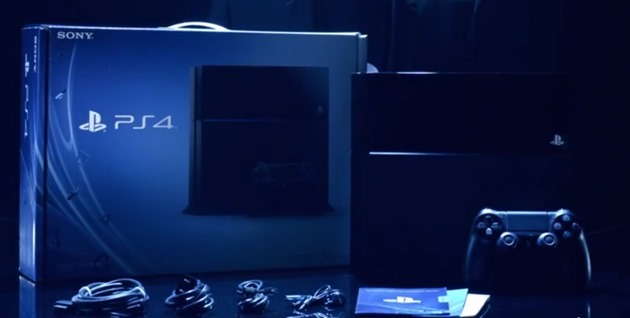 At the official PS4 unboxing, we find that in the blue box you will find a PlayStation 4 with a 500GB hard drive, a DualShock 4 wireless controller of last generation, HDMI cable, a USB cable for charging controller and mono headset for teleconferencing. If you live in a country where you have access to those services, in the box you will still find a voucher of 30 days for PlayStation Plus, a $10 credit card that you can use to purchase in the PlayStation Network and a second card of 30 days free for Sony Unlimited Music service.